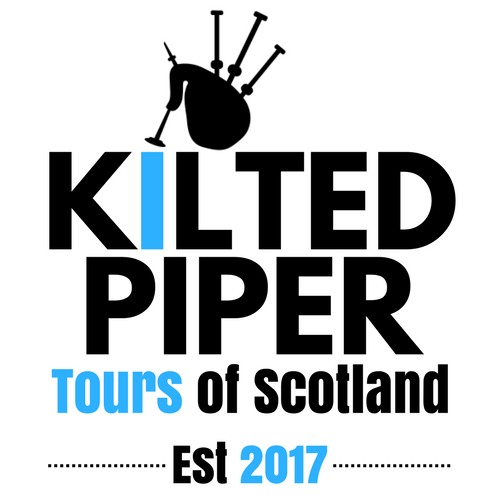 You get a professional tour guide who wears the traditional Highland dress and plays the bagpipes on request. Listed below are just some of the suggestions we have to offer, however, we have an extensive list of hidden gems which we can provide information on at your request. 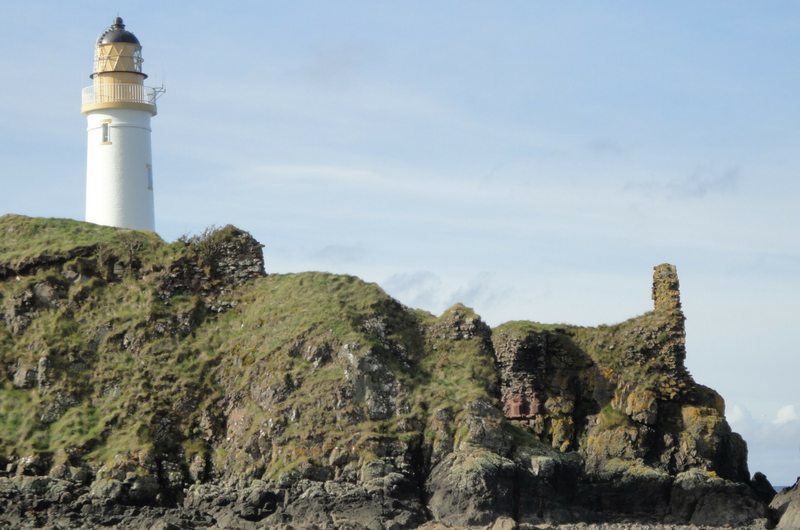 These include Turnberry – now known as ‘Trump Turnberry’, where Robert the Bruce was born. The Mull of Galloway -Scotland’s most southerly point, is one of Scotland’s best-kept secrets in the UK, and most recently the location for Gerard Butler’s new film ‘Keepers’. The Clattering Shaws – situated deep in the centre of Galloway, this hidden gem boasts, the range of wildlife ranging from red and roe deer to golden eagles, peregrine falcons, and astounding scenic walks. 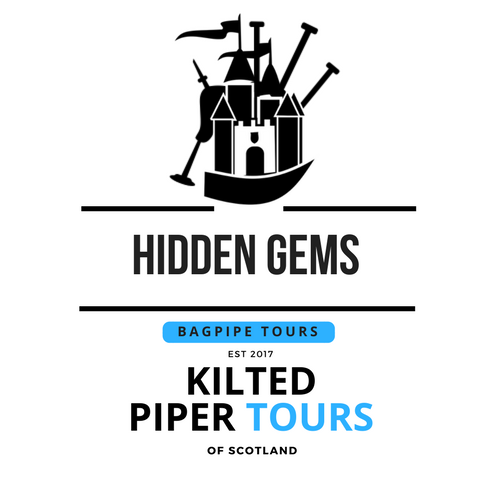 Let us share with you the delights of some of Scotland’s lesser known castles, lochs, and breathtaking scenic beauty spots. This tour can be designed to suit your interests, making your stay a memorable one. You can select from any of the listed attractions below or, if there is anything specific you wish to explore, we will do our very best to accommodate your wishes. This castle nestled on a hill in the Ayrshire town has everything you could ask for in a hidden treasure of a building: romance, smugglers and the historical links to Robert the Bruce and the Stewart family to name but a few features. 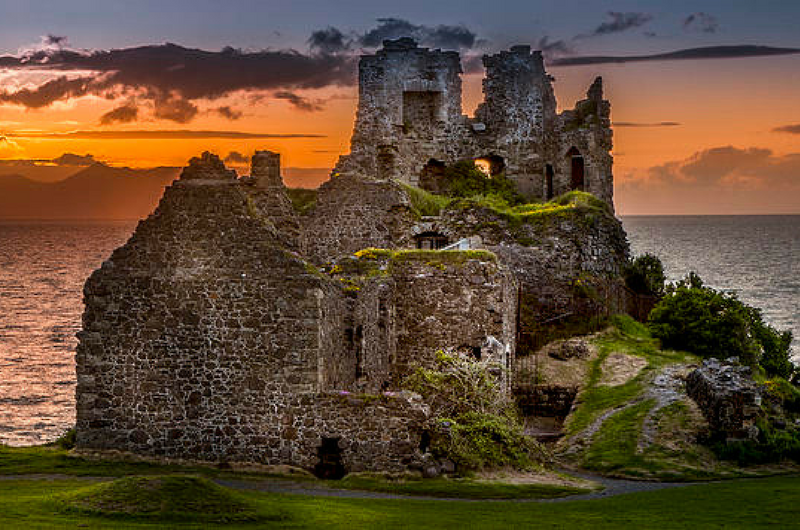 The sleepy Ayrshire village Dunure transformed into the dramatic setting for the 3rd series of Outlander. A lesser-known historical castle which is situated on the west coast, overlooking the Firth of Clyde is 3km from the Ayrshire craft village of West Kilbride. This building dates back to the 14th Century and steeped in history linked to King Robert I of Scotland as well as archaeological finds tracing back to the iron age. 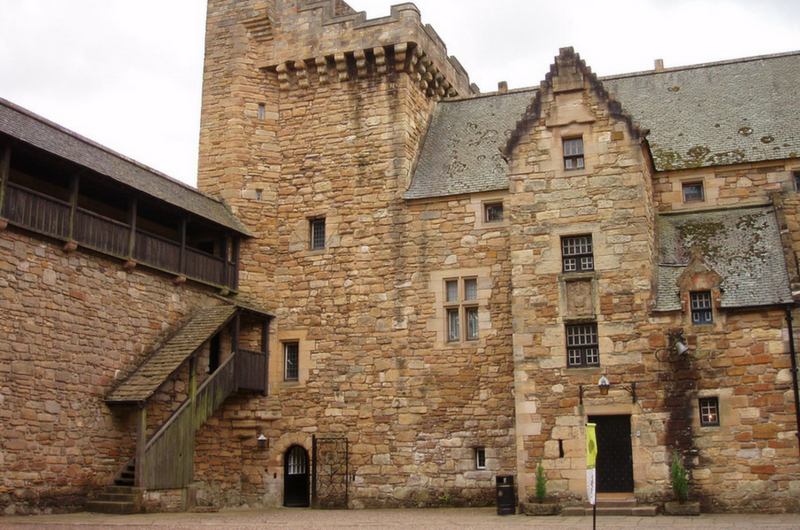 Until about 1700 the fortress was called Kilmarnock Castle. 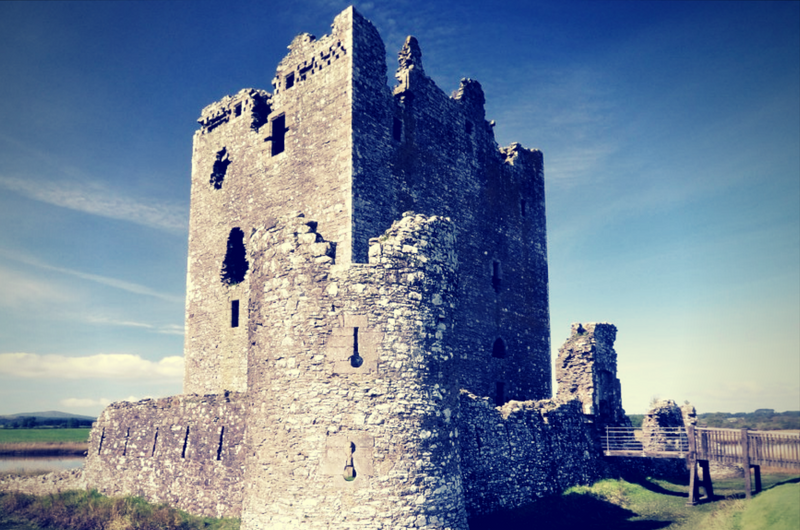 The later name ‘Dean Castle’ refers to its setting; dean is a traditional Scottish term for a wooded valley. This magnificent castle is set in 200 acre grounds of the Howard Park estate in Kilmarnock. Built in the 14th century, this castle is, as is Portencross Castle, connected to Robert the Bruce, the grounds being rewarded to Sir Robert Boyd by the king for services during the battle of Bannockburn. The park includes wonderful woodland walks, and a 14th century castle. Turnberry – now known as ‘Trump Turnberry’, where Robert the Bruce was born. Today between Ayr and Girvan the mysterious rubble remains of Turnberry castle surrounding the modern lighthouse. However in the late 13th century, it was the great coastal stronghold of the Bruce family of Annandale, Earls of Carrick. The rubble remains of Turnberry Castle surrounding the lighthouse appear as grassy mounds. However in the late 13th century, this site was the great coastal stronghold of the Bruce family. 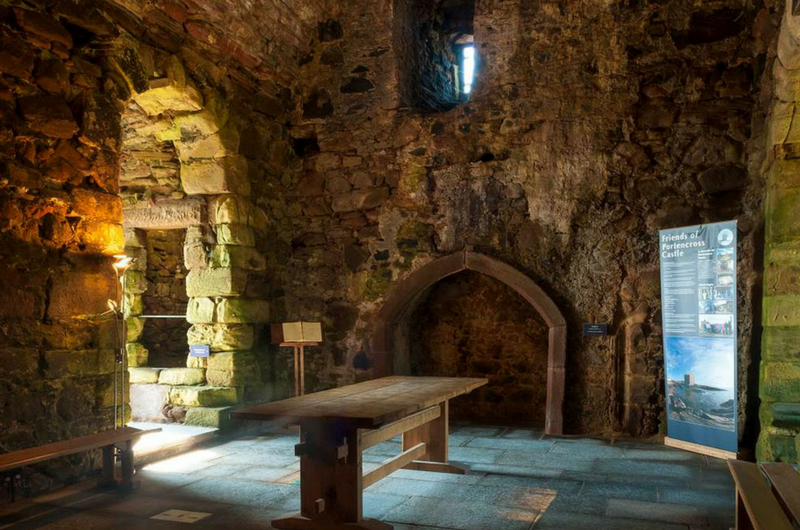 Leaving Ayrshire and approaching the enchanting region of Galloway, Doon Castle was originally built in the 13th century on an island as an enclosure fortification and was passed to the Kennedy family. However, it was abandoned after an attack by King James 5th. 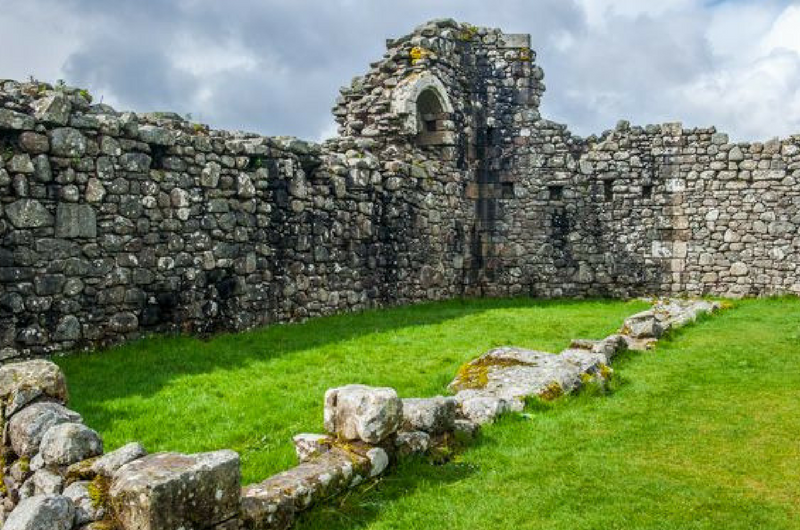 There is much history attached to this very old building which involves Robert the Bruce, our tour here will reveal more information and you will experience the breathtaking scenery this beautiful location has to offer, including the spectacular backdrop of Loch Doon. Set in the heart of Galloway, this location boasts magnificent country trail walks, mountain biking routes, and stunning surroundings including lochs, forests and dramatic hills. 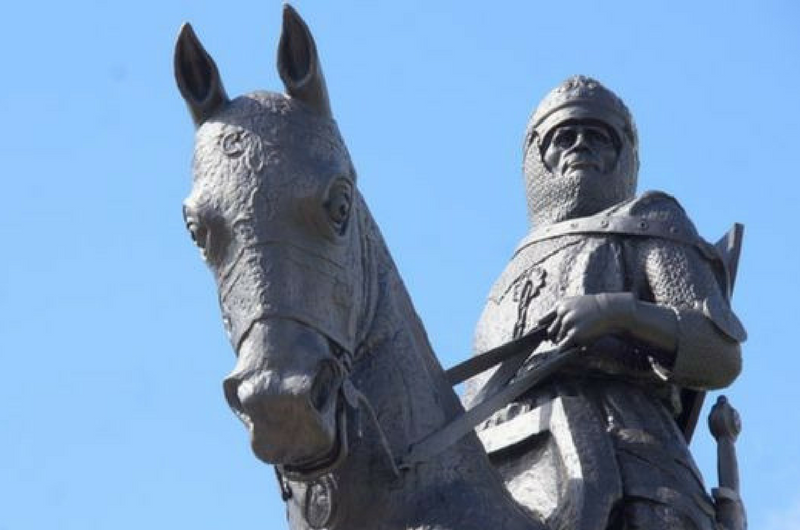 The historical connection here, is being Robert Bruce’s first major victory in the war of independence. Situated on the west coast of Scotland, sitting majestically on a craggy cliff top, overlooking the beautiful rustic coastline scenery which is home to a small fishing village. Initially an Iron Age hillfort and later a Norman motte-and-bailey, Dundonald Castle was rebuilt in stone in the thirteenth century configured as an enclosure fortification. 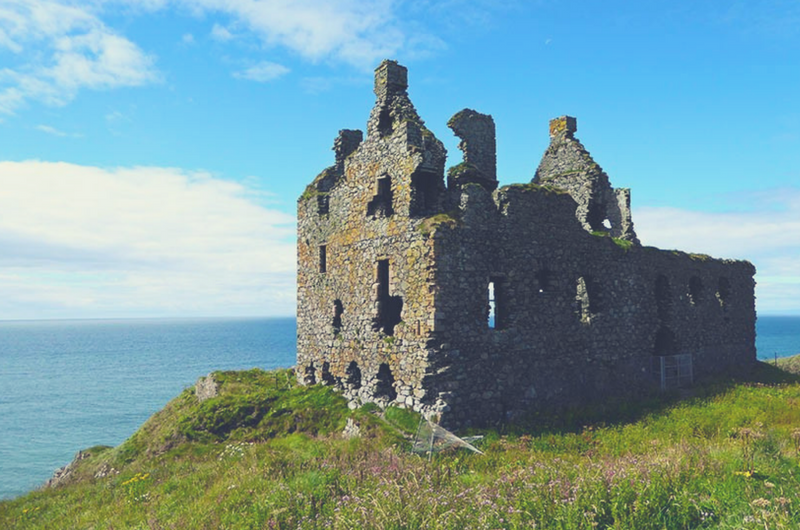 Heading down to Dumfries and Galloway this is one of the most beautiful settings, with the castle ruins nestled on a rugged cliff top perched above the dramatic coastline overlooking the Irish Sea. The picturesque fishing town of Portpatrick is a must see for visitors to Scotland especially photography enthusiasts. This lovely 14th century castle is situated in an island in the River Dee, near the town of Castle Douglas in Dumfries and Galloway. 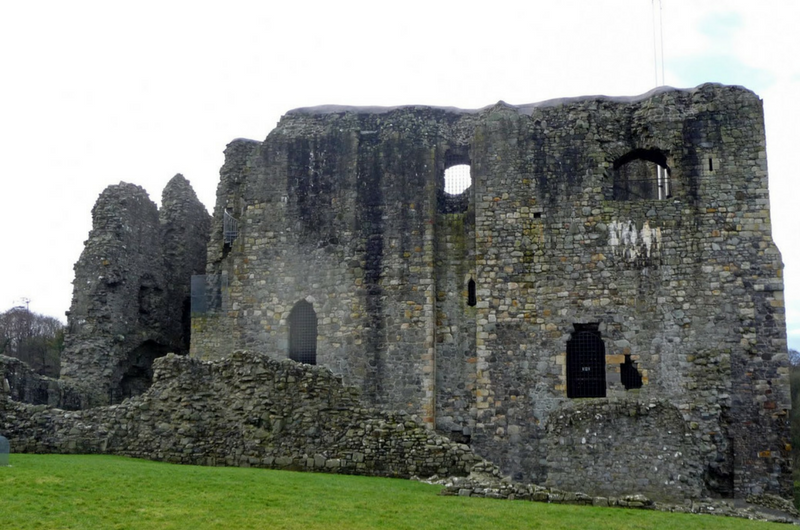 In 1455, having been besieged by King James 2nd, it became a royal castle. In 1914 the ruin was taken into custody state care and maintained by Historic Environment Scotland. Contact Us here if you have any further questions.